Bring a Little Zing to Your Snack! I bought the peach flavor. I love the way it tasted! I usually only eat pineapple with cottage cheese, so I was excited to try a new fruit flavor. I’d like to try the blueberry next because it seems like it would be a good combination. Since the peach tasted so good, I’m willing to try another flavor. 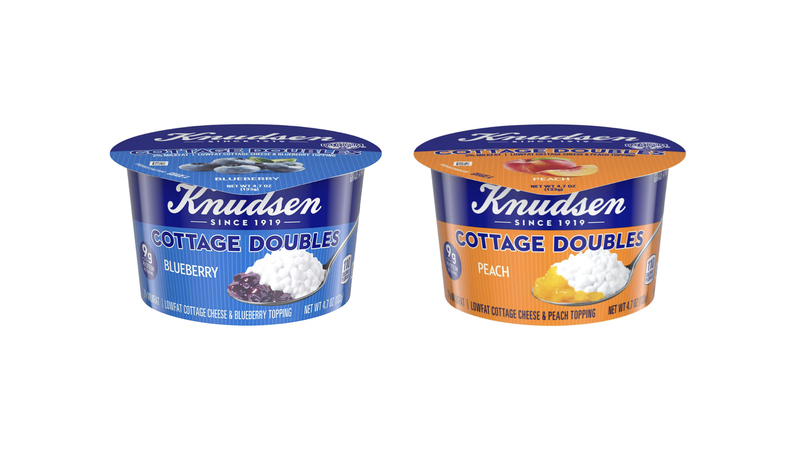 I like that it brings variety (the addition of the fruit vs just plain cottage cheese) but with the convenience of it coming in a separate packet, but joined within one product package. I think having the variety in one container encourages healthier eating by making a healthy product more appealing (by adding a flavor) and making it fun. Giulie on The Benefits of Cottage Cheese. . .
I’ve always loved cottage cheese. For what it is, it’s one of the rare cheeses that you can buy that comes in full fat, low fat and nonfat, which makes it a healthier choice for most people. This product combines a healthy snack food with a fun and tasty edge.